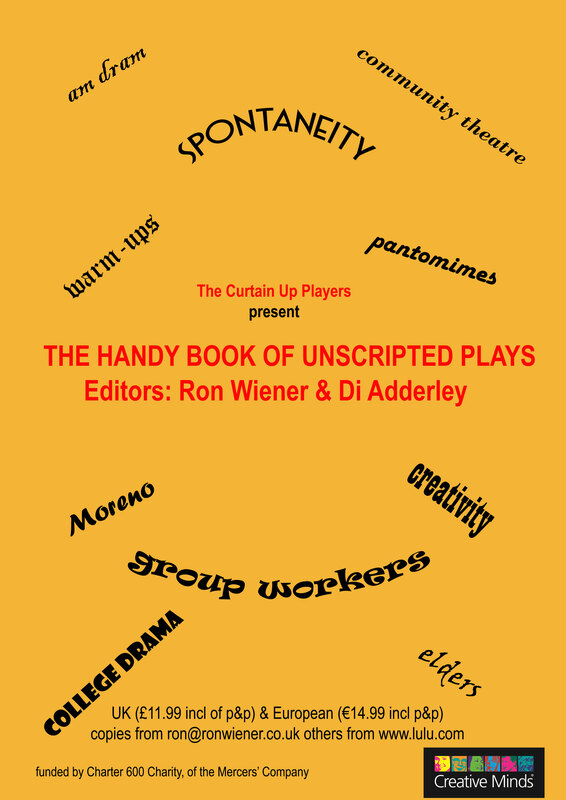 The Handy Book of Unscripted Plays – edited by Di Adderley and Ron Wiener. Publicity for the book is welcomed so please use the Book-Cover Flyers where you can both on notice boards and attached to mailing lists. All profits go to covering the group’s expenses.